We cannot let this Brooklyn treasure crumble.We Must Stop Erasmus Hall Academy’s ‘Demolition by Neglect’ If elected Brooklyn Borough President I will fight for funds to restore this building that has been standing since 1787. – Glenn Nocera For Brooklyn Borough President. Alexander Hamilton helped finance the construction in 1787 of Erasmus Hall Academy in Brooklyn. It was the first secondary school in New York State. Standing outside the Erasmus Hall High School campus in the Flatbush neighborhood of Brooklyn, Mario Rivera, 17, acknowledged he did not know much about the deteriorating old white building that sits in the middle. “That’s where the school started,” Mr. Rivera said with a shrug. The two-story building, erected in 1787 with contributions from Hamilton as well as Aaron Burr, John Jay and Robert Livingston, was the first secondary school in New York State and is considered a grand example of Georgian-Federal architecture and an ambitious vision of education. But it has been closed for over a decade, and these days it is in an advancing state of disrepair. The paint is peeling. Shutters are missing, and stairs are crumbling. There are holes in the sides of the dormer windows, and cats and squirrels roam in and out of the basement, leaving behind an unseemly smell. 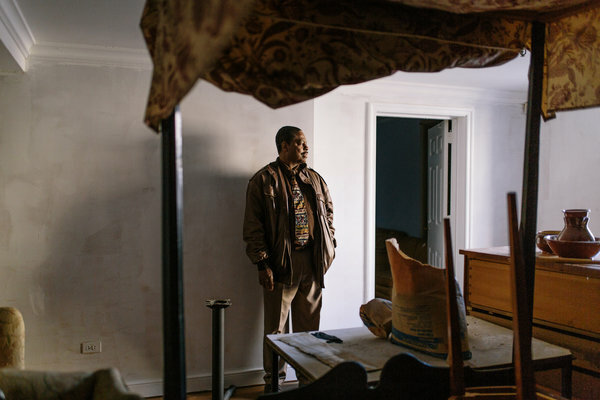 “The peeling paint looks like tears, like the building is crying, ‘Help me,’” said Charles Young, the president of the Erasmus Hall High School Alumni Association. 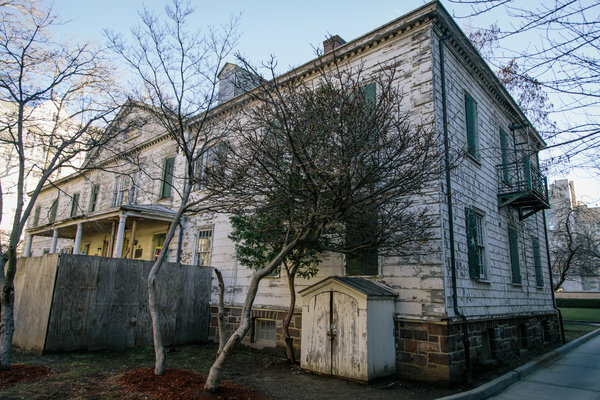 Ms. Breen estimated that it would cost $1.7 million to $2 million to repair the building, with damaged dormer walls and missing weatherproofing being the most pressing issues. Ms. Breen argued that there were plenty of potential nonclassroom uses: school offices, teachers’ lounges or after-school programs. Dr. Mathieu Eugene, a city councilman who represents the neighborhood, said putting school offices in the building could open space for classrooms elsewhere on the Erasmus campus, which has 1,990 students. 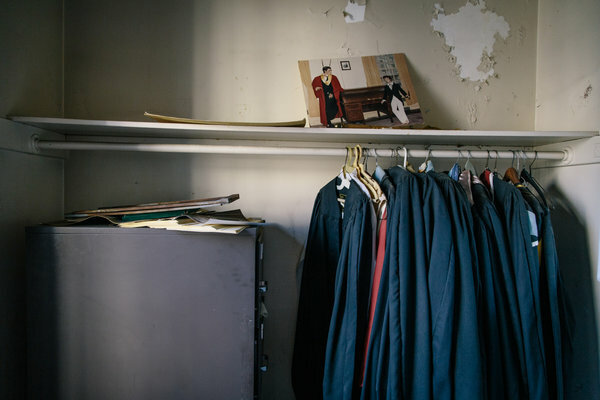 When it was founded, Erasmus Hall Academy housed not just classrooms but the high school students themselves — the original 26 students lived in the building. The school flourished for decades, but enrollment started falling after Brooklyn started its own public school system. In 1896, the building was donated to Brooklyn for a public school. Brooklyn’s rapid growth led to the construction in sections, from 1905 to 1940, of the ornate and sprawling Collegiate Gothic campus that now surrounds the academy. Erasmus alumni include the singer Barbra Streisand, the actor Eli Wallach, authors like Bernard Malamud and Mickey Spillane, the music industry legend Clive Davis, the opera singer Beverly Sills, and Al Davis, a former owner of the Oakland Raiders football team. 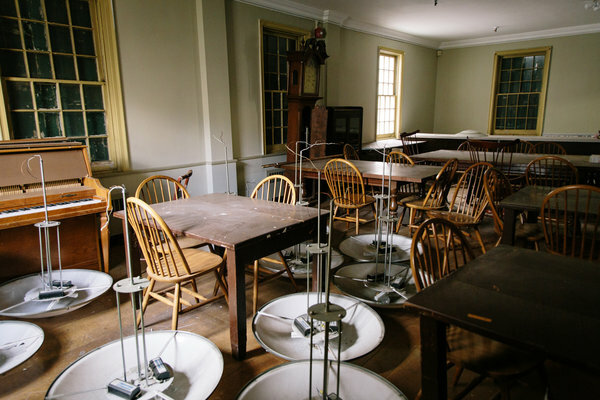 In the 20th century, the academy building became a principal’s office, the guidance office and, for a time, a local-history museum that recreated 18th-century life for elementary schools to visit. “It was an administration building when I was there,” said Wilhelmina Rhodes-Kelly, another member of the alumni association, who graduated in 1964. After the building was closed, numerous efforts to find new uses were rebuffed by the Education Department, Ms. Breen said. Now, Dr. Eugene, hoping to build on Mr. Adams’s commitment, said he would push the City Council to take up the cause.